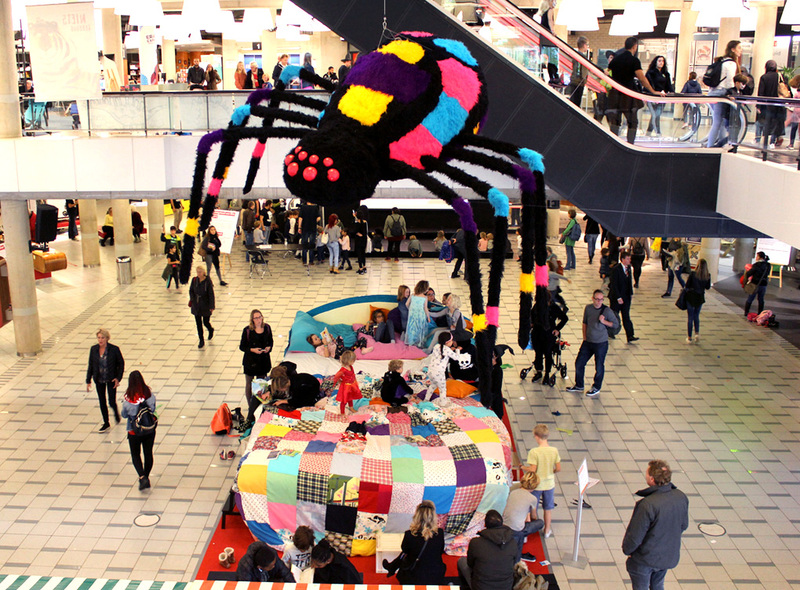 After the Children Book Prom in Stadsschouwburg Amsterdam, our Giant Bug Bed (5 x 3 meters) moved to the public library of Rotterdam. 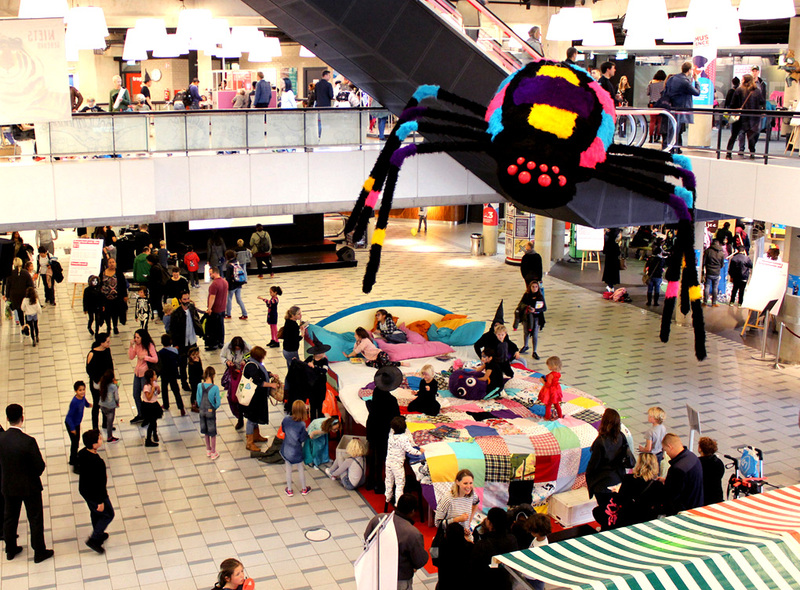 The rest of the visitors could read or relax in the huge bed which stood for two weeks in the main entrance of the public library Rotterdam. 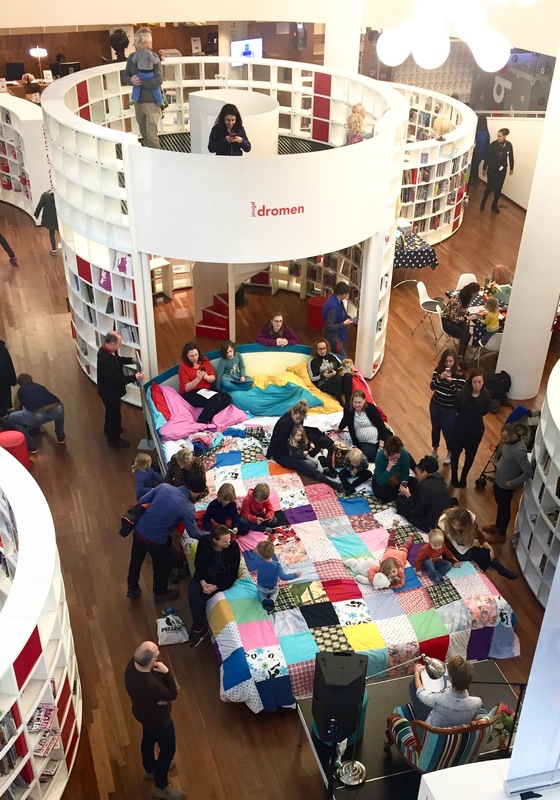 On November the 12th, our Giant Bed traveled back to Amsterdam for the special reading event ‘De Grote Voorleesestafette’, organized by Rose Stories in the OBA, Public Library of Amsterdam. 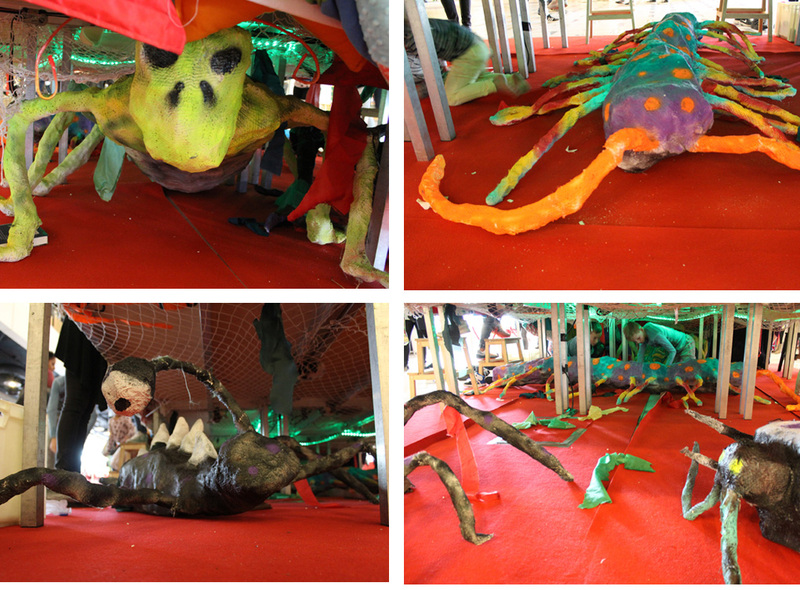 Various writers read their books for little book lovers in the giant bed.